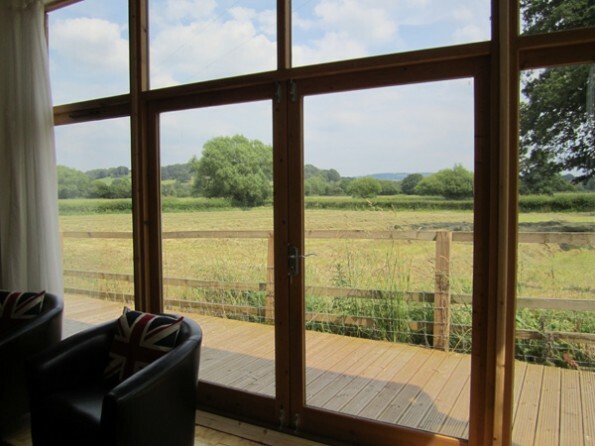 In the heart of rural Monmouthshire, Yew Tree Barn is a light, spacious and contemporary barn conversion with panoramic windows that give stunning views of the beautiful surrounding countryside. Come for country walks, pub lunches and pure bucolic relaxation. 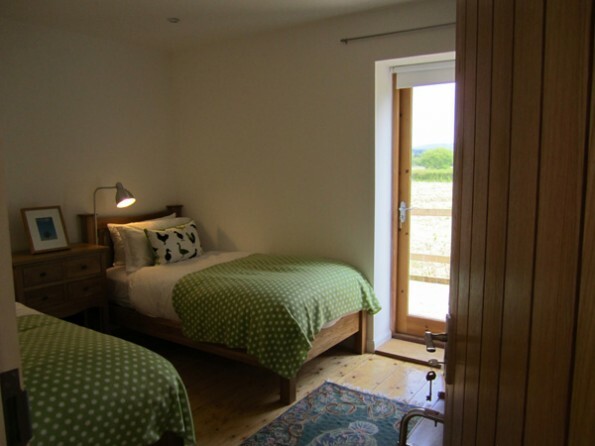 Yew Tree Barn is a newly converted barn which sleeps six in three individually-styled bedrooms. 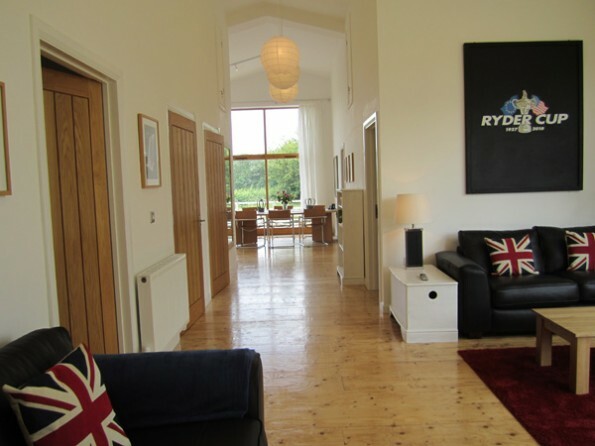 Double height ceilings, large windows and light furnishings create a bright, airy atmosphere, a log-burning stove keeps things cosy, and on your doorstep there are miles and miles of picturesque countryside waiting to be explored on foot, by bike, or even from the air. 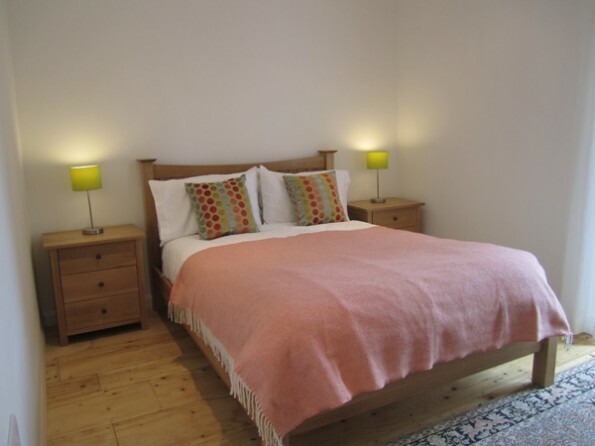 You will find shops, pubs and restaurants in the charming nearby towns of Usk and Raglan, and the scenic Brecon Beacons, Wye Valley and Forest of Dean are all just a short drive away. This is a lovely peaceful spot for some escapist R&R. 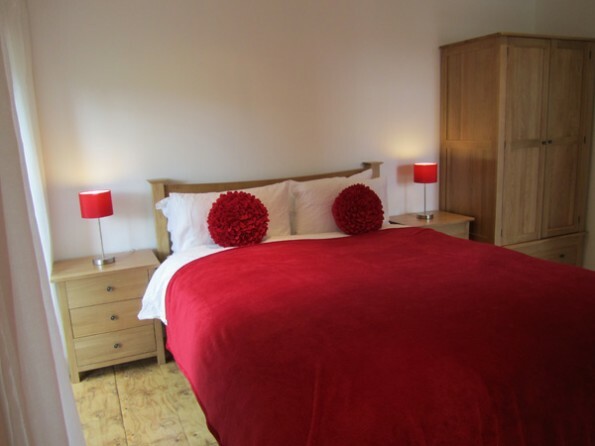 The barn is located 3 miles outside the pretty town of Usk and there is a lot to see and do in the surrounding area. Visit the castles at Chepstow, Usk and Raglan, or explore Usk Rural Life Museum and the Old Station in Tintern. 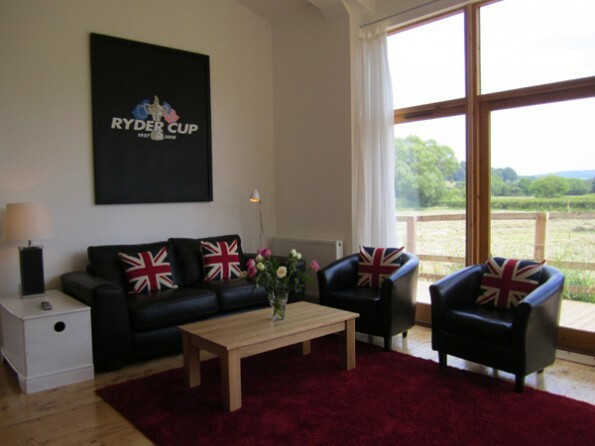 Alternatively, go horse riding in the beautiful Brecon Beacons, play a round of golf at one of the many excellent nearby courses, go boating on the Brecon Canal, place some bets at Chepstow Racecourse, see the countryside from high up in a glider, or go canoeing on the River Wye. Or you could just take a relaxed country mile-long stroll to the renowned Raglan Arms in Llandenny, one of Monmouthshire’s excellent gastro pubs. In terms of eating out, you have plenty of options, from the Crown at Whitebrook and The Waterside Rest in Llanover to the Moon and Sixpence in Tintern and The Angel Hotel in Abergavenny. Please contact the owner for full directions. 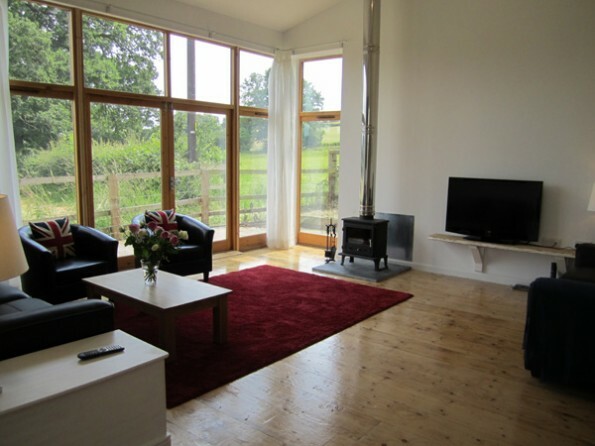 In the living room you find comfy sofas, a log burning stove and a 42" flat screen TV with Freeview and DVD player. 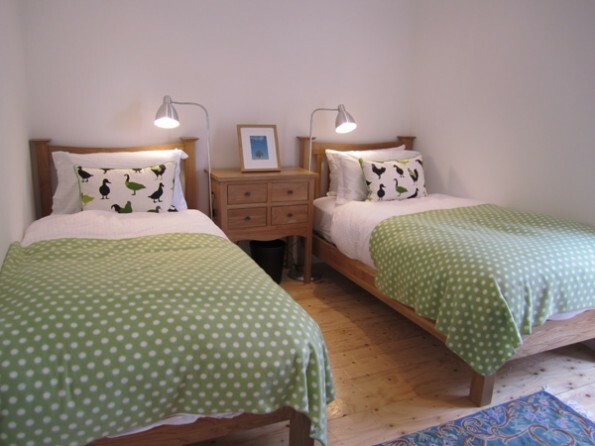 There is one double bedroom, one king size bedroom and a twin bedroom, all with full height windows to the decked walkway. 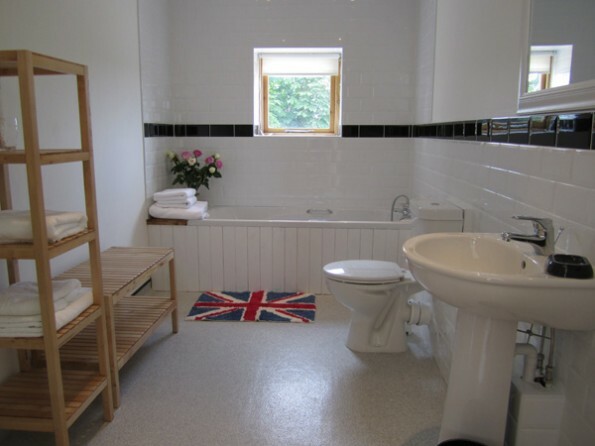 The barn has a bathroom with a shower above the bath, a wash hand basin, a toilet and a heated towel rail, and there is also a spacious wet room with a disabled toilet, a wash hand basin, a level entry shower and heated towel rail. A disabled shower stool is available on request. 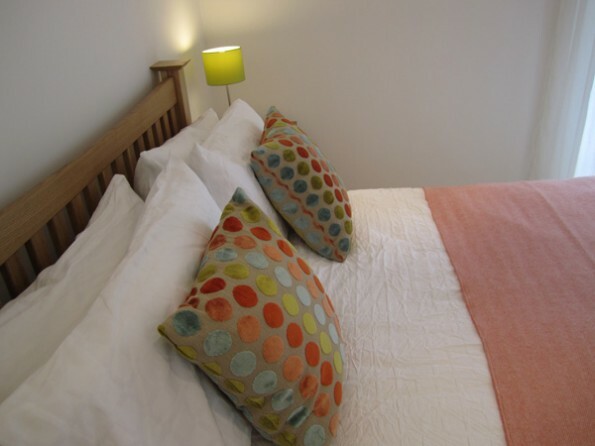 The spacious kitchen has a large table and lots of modern equipment, from an induction hob, a fan assisted oven and an integrated fridge freezer to a washer dryer and dishwasher. 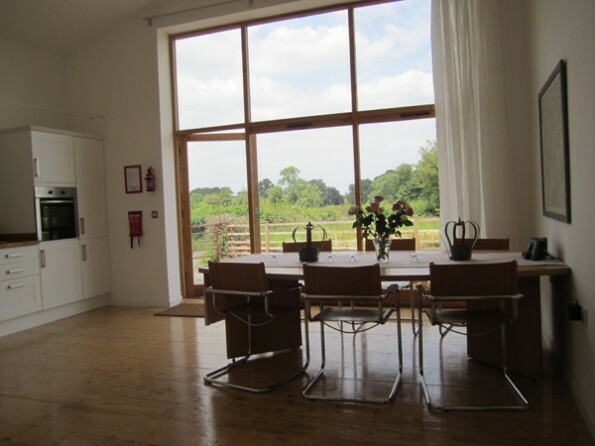 The barn is surrounded by a decked walkway and patio which allows level access. Parking is available. When you arrive at Yew Tree Barn you will be greeted by a welcome tray of tea and coffee, beds made up with soft Egyptian cotton linen, and fluffy towels. Online groceries can be delivered to your door from Waitrose, Tesco, Asda and Sainsbury. 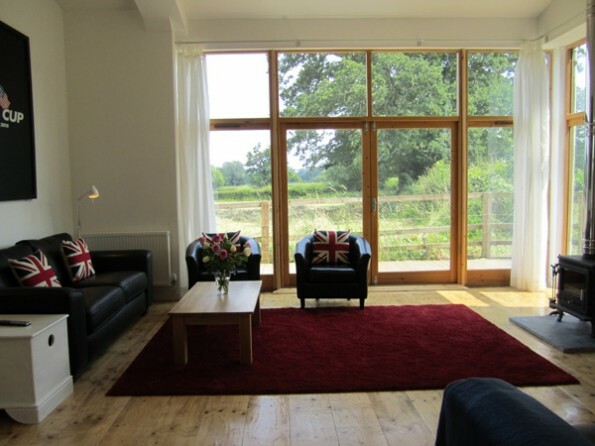 Yew Tree Barn is all on one level and caters for the young, the old and the disabled – please see the website for a full access statement.